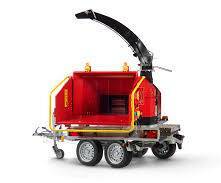 This 235 mm wood chipper accepts 235mm timber. This powerful 56hp machine produces wood chip to any setting between 6 -16 mm in size, and is very consistent and uniform â allowing the user to preset the machine quickly and easily to their chip requirements. This engine is Teir 4 Final and Stage 3B approved. 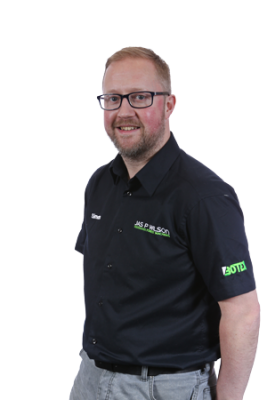 This model benifits from the TP Navigator system which provides a touch screen panel for monitoring and controlling all chip functions, including adjusting settings related to the engine, rotor disc and feed rollers. Like all other TP chippers in the range, the TP235 can be set to produce biomass grade uniform wood chip if needed. This diesel machine has an average fuel consumption of 4.5L/hour.